Happy Friday! Happy Good Friday at that! Today is indeed a good Friday and a casual one too. Today I am posting a casual look and I hope to post more casual Friday looks consistently. 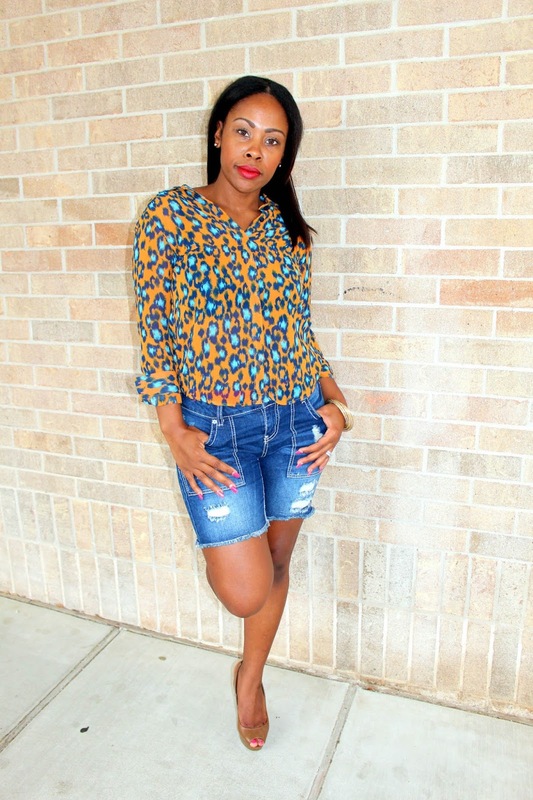 Today's look was totally inspired by local blogger Tameka Wells of Embellished Dame! I love denim shorts that I can casually wear and not embarrass my CoolKids. Ha! What I'm really saying is I love the length of these pair of denim shorts. I purchased this pair at JCPenney last month and wear them often. 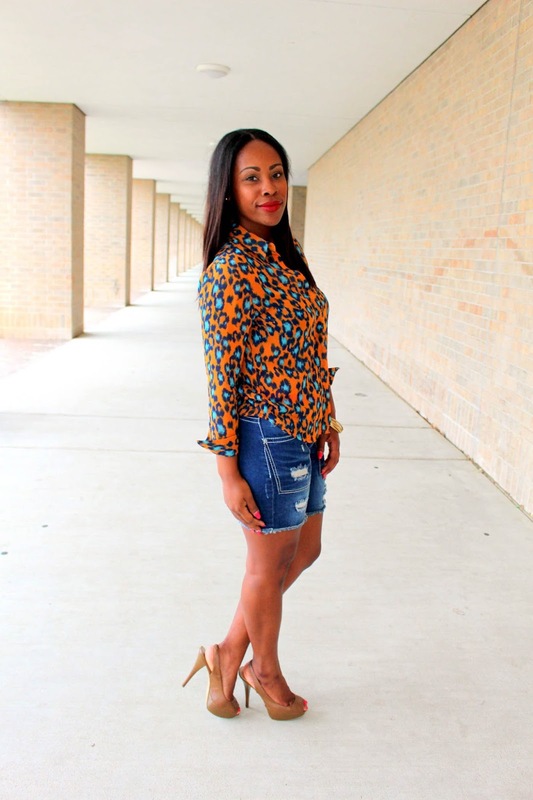 I love the way blogger Tameka styled her shorts with a sheer top and heels. Heeey right up my alley and in my opinion it's the perfect look for spring. Comfy and quite fashionable. I love this look for running light errands and spending time with the family. I've got quite a busy weekend approaching in addition to flying out to Cali next week so easy peasy chic is totally what I needed! So take it easy my dear style lovers and I wish you a fabulous weekend. Look deets below!